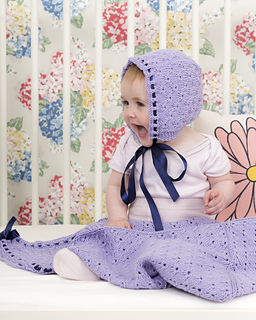 This bonnet increases from the crown, but is worked flat after the first five rounds. A ribbon is added for a pretty closure. The pattern can be worked either from the chart or the written instructions, whichever you prefer.